Sai R. has over 8 years of experience in digital advertising, investor marketing, and product marketing. He is the VP Marketing for Ubika Corp. the financial media arm of Gravitas Financial Inc., where he leads digital investor marketing initiatives for listed companies. He is also a partner at Northern Lights Partners, which acts as a Canadian capital markets and M&A advisor for US based Cannabis groups working with vertically integrated MSO’s, tissue culture, brands, and ancillary companies. Sai is co-producing season 4 of the Marijuana Show called the High Finance Show on Amazon Prime, which is essentially the shark tank of cannabis, slated for a November 2019 release. He will be joining the original show creators and the experienced duo of 2 times Emmy award winner Wendy Robbins and Karen Paull. 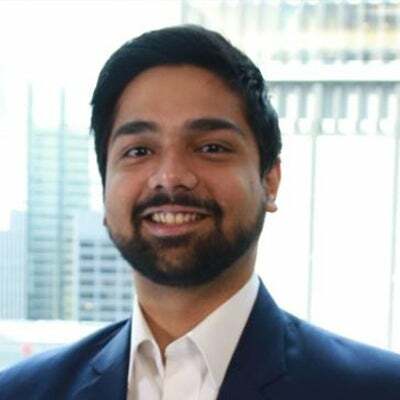 Sai has an electronics engineering degree and an MBA from Schulich School of Business, Toronto.